Whether attending a special event, or just making the journey up without a special occasion, you are in for a treat. Bald Knob Mountain is the second highest point in Southern Illinois and offers wonderful views, particularly in the fall. 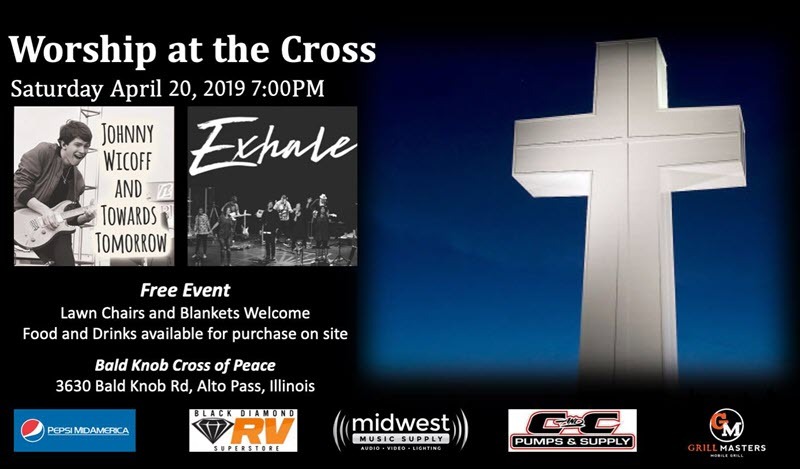 April 20, 2019 – Worship at the Cross, 7 p.m.
April 21, 2019 – 83rd Annual Easter Sunrise Service, 6 a.m.
Come celebrate our risen Lord! Angela Baughman, Steady-On Ministries, will bring the message. Cassie Sharp, the C-Sharp Project, will provide our music. Greeting will be given by Murphysboro Mayor Will Stephens. Bell ringers are Emerson (age 2) and Will (age 7) Presley, great grandchildren of Bald Knob Cross visionary Wayman Presley. 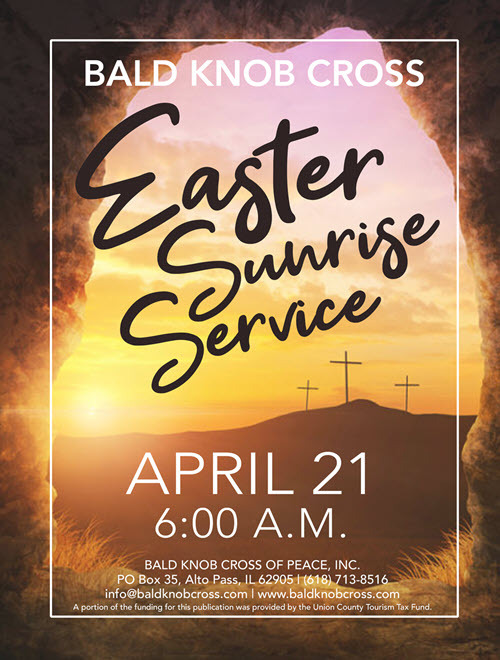 Optional: If you don’t want to drive up to the cross, shuttle service for the Easter sunrise service is available for $5.00 per rider. The shuttle leaves Walker Funeral Home in Alto Pass at 5:15 a.m. Reservations recommended but not required. 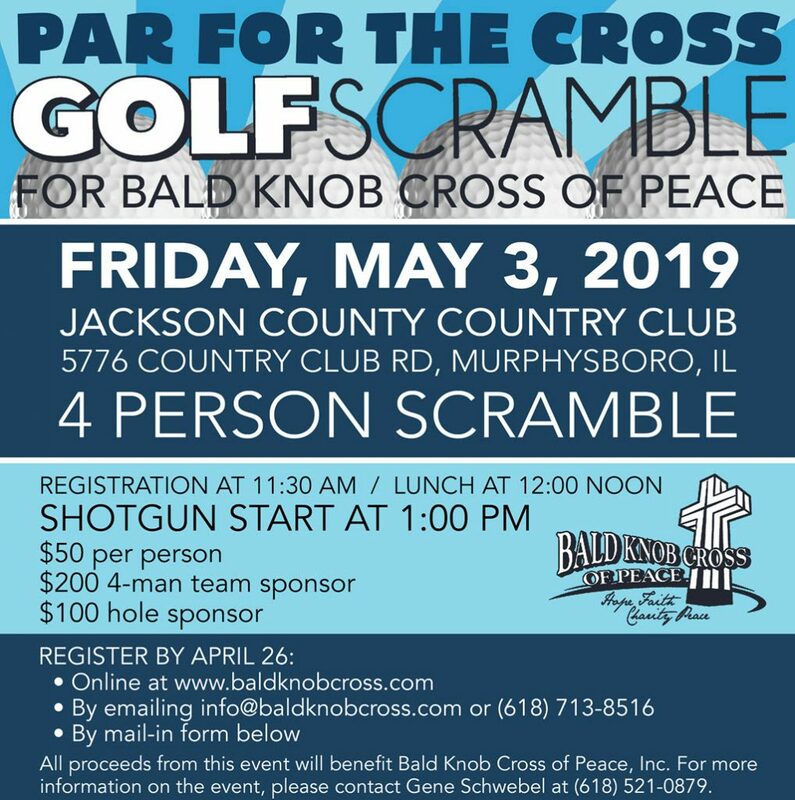 Reserve by emailing director@baldknobcross.com or calling 618-713-8516. Sponsored by the Christian Motorcycle Association. Chaplains will be available for bike blessings between 8am and 3pm with a brief service at noon. See the details here. NEW this year! 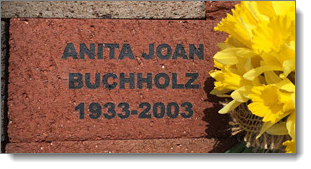 Inscribed paver bricks – details here. 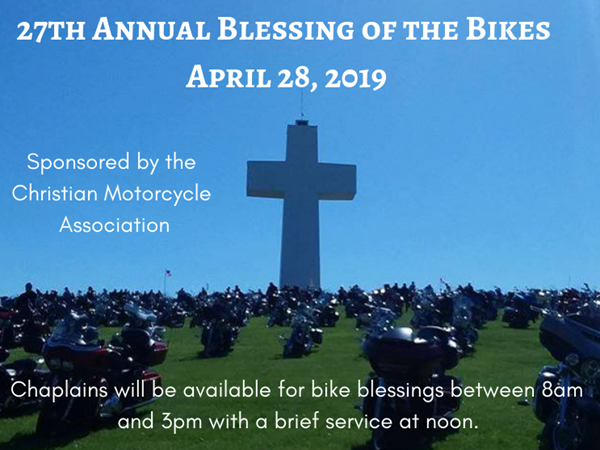 Order your Blessing of the Bikes 2019 T-Shirt here. The National Day of Prayer is scheduled to be observed in Union County on Thursday, May 2. 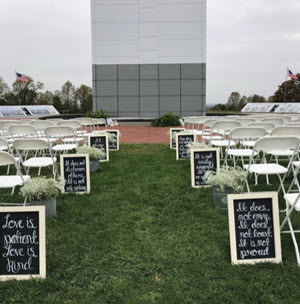 The observance is being hosted by the City of Anna and coordinated by the Union County Alliance of Churches. The event will again be held at the band shell in the Anna City Park. 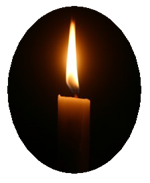 The service will begin at 7:00 p.m. and last approximately 30 minutes. Bring a lawn chair and join with others in the community praying for our county, state, and nation.